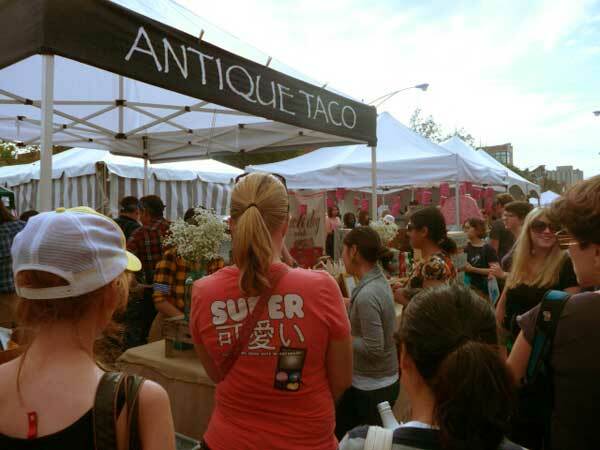 Renegade Craft Fair vendors will set up shop in Pulaski Park on Dec. 1 & 2. Christmas shoppers in the Unwrap Chicago program pledge to put their money in the local economy. Its website eatdrinkbuylocal.org promotes bazaars and merchants in Wicker Park (north of Division Street), West Town (south of Division) and other Chicago communities. Local events include the Renegade Craft Holiday Market, Dec. 1 and 2 in the Pulaski Park fieldhouse, 1419 W. Blackhawk St. The Wicker Park Bucktown and West Town chambers of commerce will shuttle shoppers to the craft fair from 11am to 6pm, with Division Street stops for Smoke Daddy at Wood Street and Gomez Shell at Damen Avenue. A percentage of sales from stores in the Unwrap WPB holiday guide will be donated to local public schools. The Wicker Park Bucktown chamber lists more events in its recent newsletter, including the Christy Webber Landscaping Winter Fest on Saturday, the Division Street opening of Steve Quick Jewelers on Thursday, the Dec. 1 & 2 anniversary sale at the Paper Doll card shop on Division and a continuing show of artisanal gifts at Jackson Junge Gallery. A holiday Cookie Crawl sponsored by the West Town chamber will extend hours and promote deals at Grand Avenue design boutiques Dec. 13. Stores will offer West Town Bakery cookies and hot cocoa till 9 pm. East Village Association vice president Peter Locke is a director of Unwrap Chicago's organizing group, Local First Chicago. The coalition asks shoppers to pledge online to shift $100 in holiday spending from chain stores. A press release claims that a 10% a market shift to independent retailers in Cook County would keep $2 billion a year in the regional economy.